What's Wrong With Natural Living? What’s Wrong With Natural Living? The concept of natural living seems to bother many people, possibly because it threatens corporate profits. 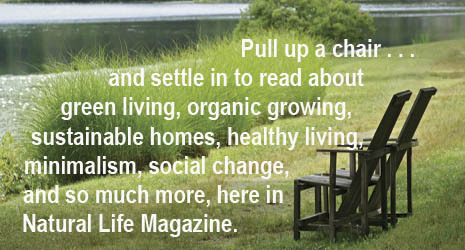 Natural living is increasingly popular around the world. Many people are realizing that we have the right to a clean environment, that the planet is in danger of becoming uninhabitable unless we take better care of it, and that we can’t easily trust corporations and their handmaiden governments to provide us with clean air, water, and food. Consequently, we are also understanding the interconnections among the various aspects of life: Natural living comprises what we eat, how we make a living, where we live, how we get around, how we educate ourselves. Providing information and inspiration for natural living in its broadest sense has been my life’s work. Natural parenting, natural living, natural learning…those are all topics you will read about in our magazine, including Natural Life. The business is over forty years old. However, natural living is, in some contexts, as controversial as it has ever been. Now, the word “natural” would seem to be a straightforward offspring of the word “Nature.” But it has dozens of meanings and sub-meanings. It’s used in mathematics, economics, science, music, computer programming, childbirth, sociology, medicine, education, and, of course, marketing. In current usage, it also has many synonyms, including reasonable, appropriate, proper, expected, innate, inherent, lifelike, realistic, legitimate, habitual, normal, healthy, native, simple, non-artificial, genuine, unadorned, real, authentic, unstudied, unaffected, and straightforward. So we shouldn’t be surprised that it is a controversial word. For years, it has been especially problematic in the prepared foods industry. In relation to food, the Oxford English Dictionary defines it in this way: “Involving no artificial or man-made ingredients, chemicals, etc. ; ecological, organic; spec. (of food and drink) containing no artificial colorings, flavorings, or preservatives.” That definition makes it alluring to marketers. According to the market research company Nielson, packaged foods labeled “natural” outsell those marked organic by a substantial margin. That’s why a survey by Harris Interactive found that eighty-three percent of the U.S. public would like to see the government define the term. But aside from all of that, there are some things that just are natural. 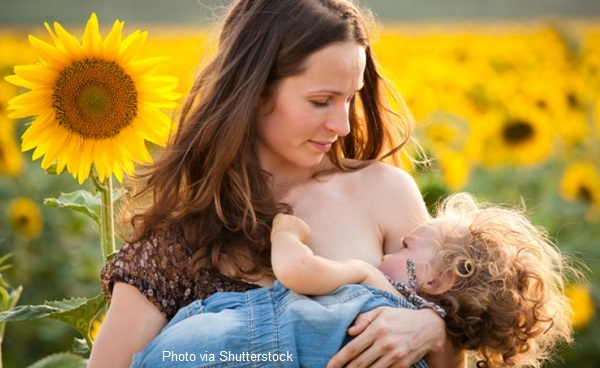 For instance, you’d think that a parenting practice as natural (and physically and emotionally healthy) as breastfeeding would be immune from the controversy over the word “natural.” Nevertheless, in March 2016, an article in the journal Pediatrics urged health professionals to stop saying that breastfeeding is natural, arguing that doing so gives the impression that natural parenting practices in general are healthier than, well, whatever you call the other kind. Further, they think that the use of the word natural should be curtailed in general, claiming that it is associated with such “problematic” practices as home birth, homeschooling, and the rejection of GMO foods, and that natural parenting movements are contributing to the decline in vaccination rates. Yep, they nailed that part! Encouraging educated skepticism of institutional authority underlies all of my work. Now, I don’t know for sure if the researchers were funded by Big Education, Big Ag, Big Pharma, or its little sister Big Formula. But, whether or not you believe that breastfeeding is a sort of gateway drug to other ”radical” natural parenting practices, I smell something very much like corporate influence. And in my world, even the faintest whiff of that gives me more confidence in my own way – in the natural living and learning way. All those players can be seen in the controversy about the use of the word “natural.” If it wasn’t such a compelling idea, Sager’s “marketeers” wouldn’t be as attracted to its use as they are. And, on the other hand, there wouldn’t be the concern about it being over-used by those of us who can think for ourselves. For me, the bottom line in all of this controversy about natural living and natural parenting is this: Don’t pay attention to what anyone else – a marketer, a corporation or its representative, a PhD researcher or scientist or another a member of academia, or any other self-described expert – thinks or instructs you to do. These days, they could have a vested interest in persuading you that there is something wrong with natural living. So do your own research, trust yourself (and your children), and follow your own instincts. You might end up agreeing with what you are told. Or not. But I have found that Mother Nature is as trustworthy a guide as any. Wendy Priesnitz is the editor and co-founder of Natural Life Magazine and the author of 13 books.